Russia’s 21st-century grand strategy of becoming the supreme “balancing” force in Afro-Eurasia is one major step closer to fruition after Foreign Minister Lavrov offered to host peace talks between India and Pakistan, proving that Russia’s refusal to take sides between its decades-long and newfound partners is part and parcel of President Putin’s pragmatic approach to regional affairs. 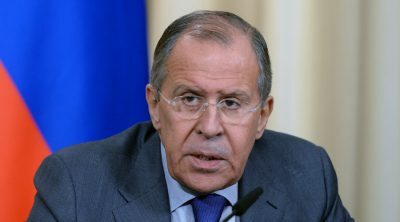 Russian Foreign Minister Lavrov sent shockwaves through South Asia on Thursday by announcing his country’s intent to host peace talks between India and Pakistan if they wish for it to do so, thereby heralding Russia’s return to the region and putting it one major step closer towards fulfilling its 21st-century grand strategy of becoming the supreme “balancing” force in Afro-Eurasia. This brief article will mostly serve as a collection of the author’s relevant pieces about the larger concepts that will be concisely touched upon on a point-by-point basis and should therefore be seen as a resource to rely on for better understanding Russia’s envisaged role in the Eastern Hemisphere. All told, it’s nothing short of a game-changing geopolitical development that Russia would offer to host peace talks between India and Pakistan because it proves just how wildly successful President Putin’s “balancing” strategy has been thus far, considering how confident Moscow is that it can constructively apply this model to the two nuclear-armed Great Powers in South Asia. Russia has truly returned to the region and is poised to play an even larger role in it over the coming years, which will enable Moscow to more assertively counter the US’ plans to destabilize South Asia and therefore ensure the success of the emerging Multipolar World Order.